Fantasy author Lindsay Buroker has had great success with several different pen names, and she shares both strategies and sales figures to help authors duplicate her achievements. 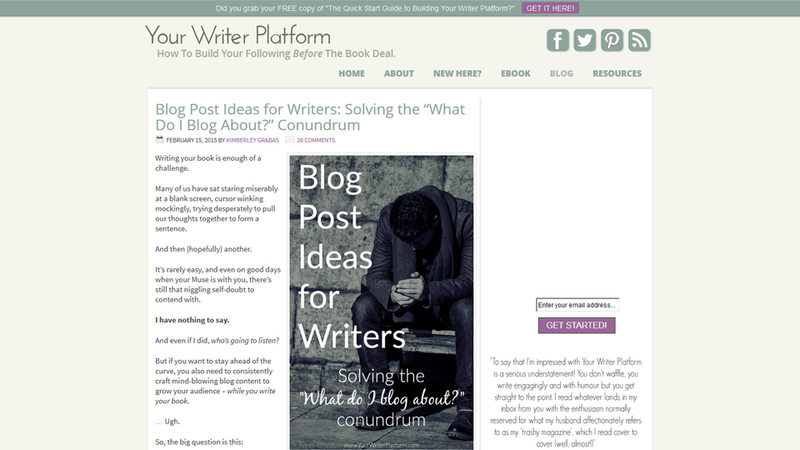 While there are occasional posts for her readers, most weeks feature helpful tips and tricks to strengthen your author platform. 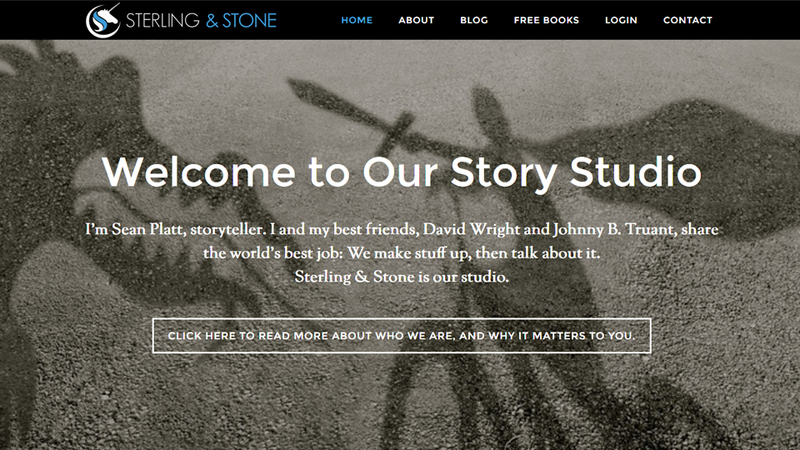 Sterling & Stone is the new catch-all site for Sean Platt, David Wright, and Johnny B. Truant. 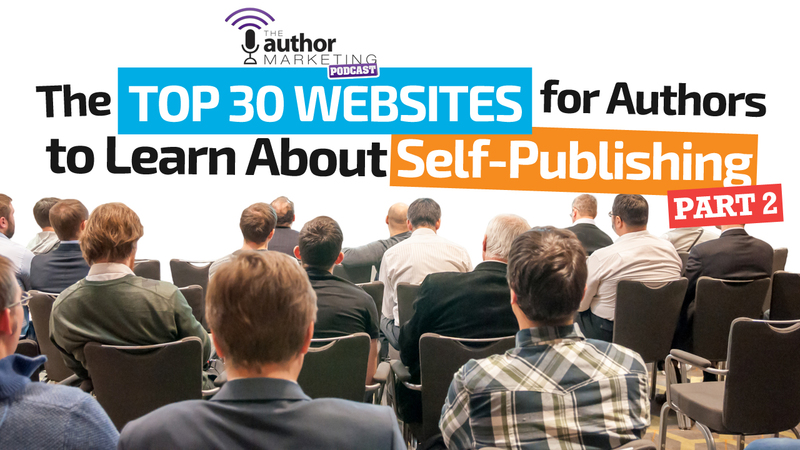 Not only can you go to the site to catch their latest episodes of the very-popular Self Publishing Podcast, but you can also read guest posts, watch videos, and learn new authorpreneurial tips. 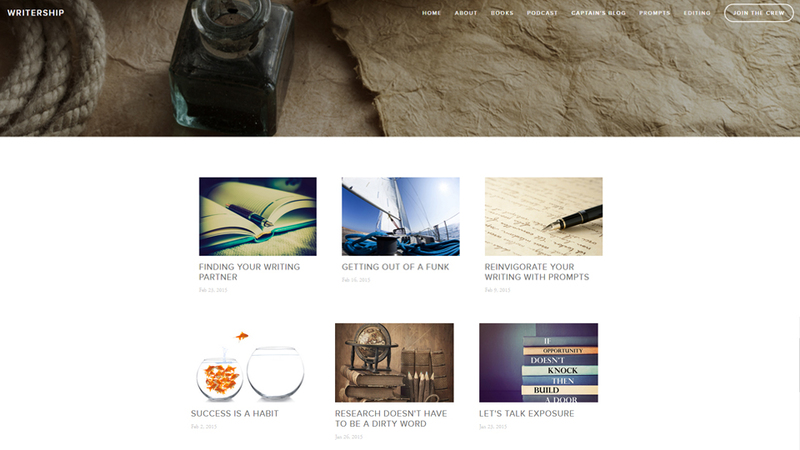 The site’s blog constantly features new content that all self-published authors should take advantage of. Kimberley Grabas crafts epic posts on marketing and writing. If the site only included the five-part series on email marketing, it would already be well worth it. The fact that it includes multiple other resources and lists like “71 Ways to Promote and Market Your Book” and “39 Things to Remember While Struggling to Build Your Writing Career” make it a densely-packed blog worth reading. 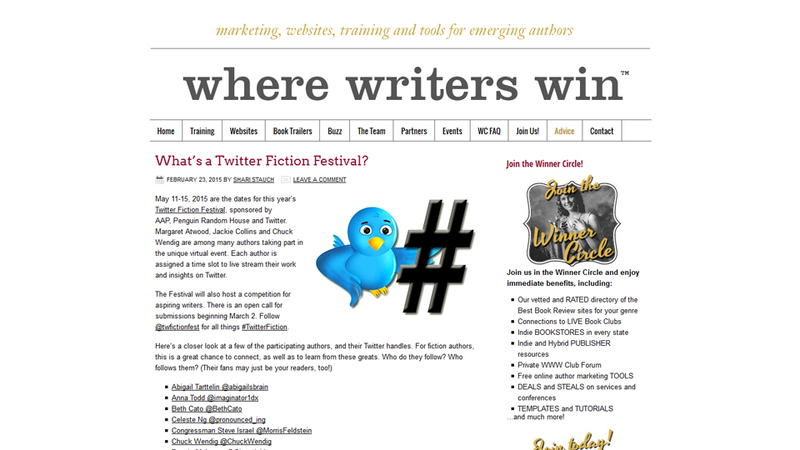 From social media to business advice, Shari Stauch and Where Writers Win provide actionable tips that authors can apply to their platforms right away. With hundreds of articles in the back catalogue and an associated top-notch premium service, Where Writers Win is a great place to find new ideas and remember old ones that you just plain forgot. 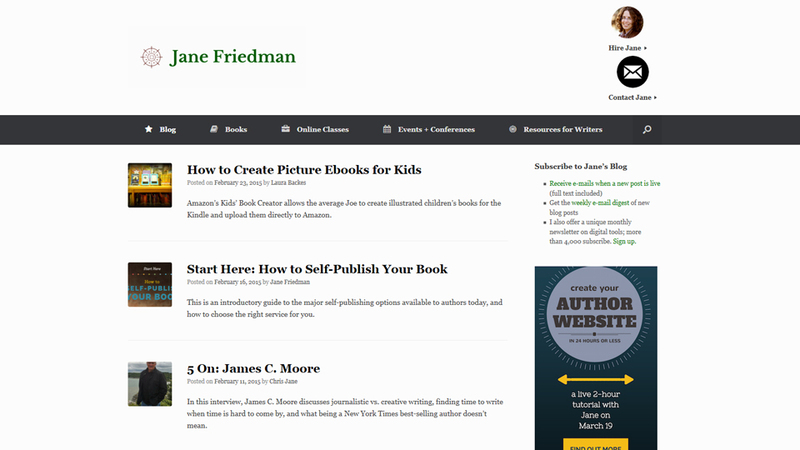 Jane Friedman is a publishing guru, and the insight and brilliance of her posts demonstrate that fact over and over again. From her straight talk about the industry to her more conceptual mindset work, this is the kind of site existing authors can use to take their careers to the next level. David Gaughran is the king of book discoverability. On his site, you’ll see many posts related to his duology, Let’s Get Digital and Let’s Get Visible, which are two of the preeminent books on self-publishing. Gaughran also focuses on the evils of author services companies behaving badly, doing his part to ensure new authors don’t fall victim to overpriced scams. 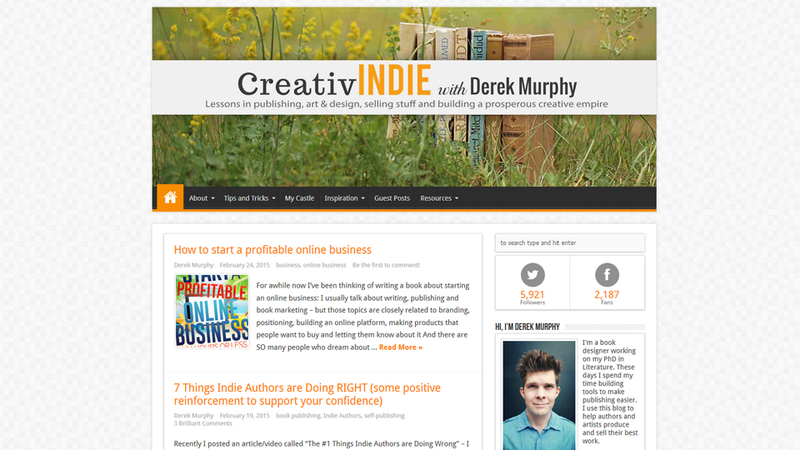 Creativindie contains a great collection of design and social media tips from author and cover designer Derek Murphy. 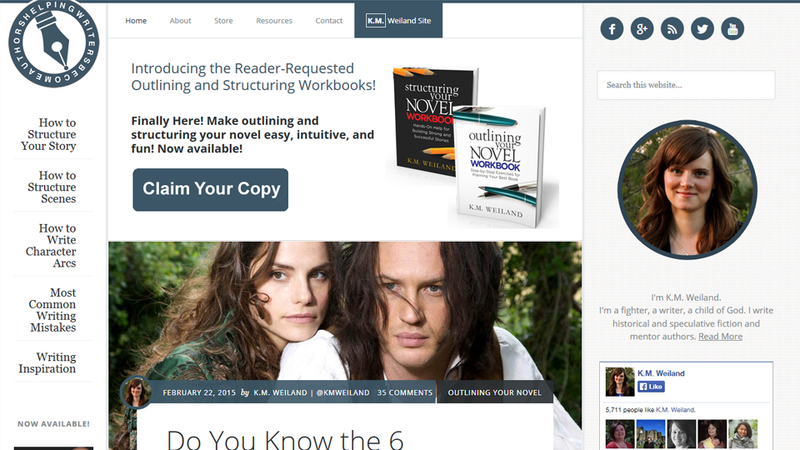 A search through the site will yield book cover templates, tricks of the trade, and much more. Murphy has a keen wit and attitude, which he’s recently displayed in over 100 instructional YouTube videos to complement the site. 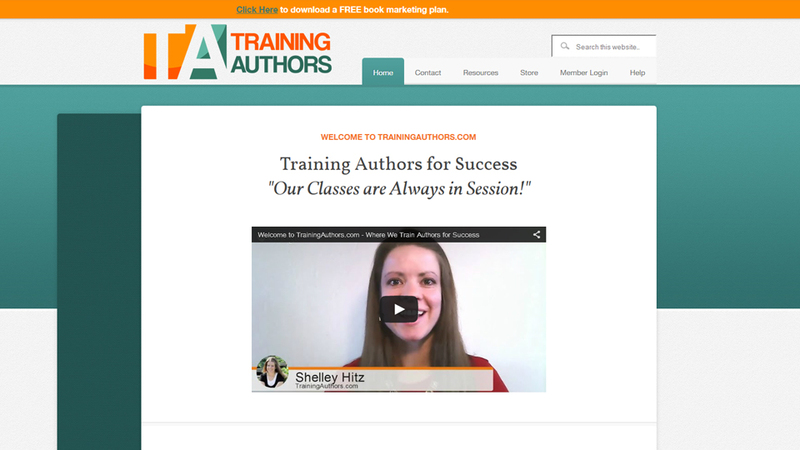 Shelley Hitz and Heather Hart have written a collection of great books for indie authors, and many of the seeds for their ideas germinated on their website. The site has several valuable lists for authors to peruse including sites to submit free or discounted books and hashtags to use during holiday book marketing endeavors. 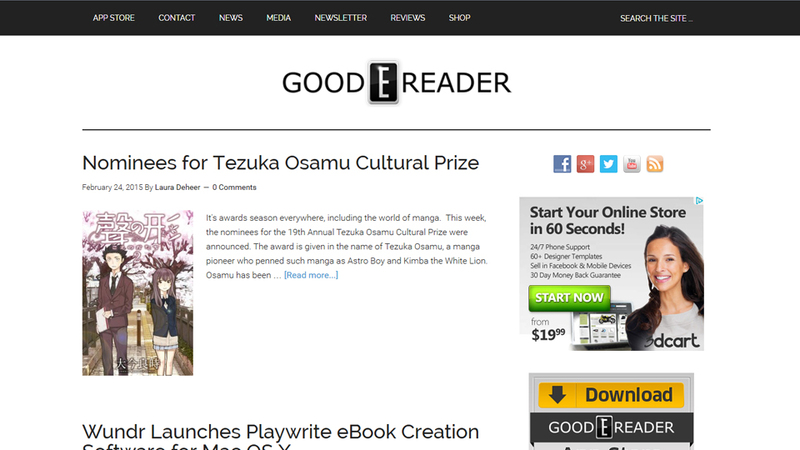 Good eReader gives authors a glance at the technical side of the industry, including the latest on eReaders, apps, and publishing platforms. While the site has riled up indie authors in the past for clickbait-type headlines, it’s one of the best sites for finding future trends that self-published authors can take advantage of. Nick Stephenson has come on strong in the last year to becoming one of the top business instructors for self-published authors. A successful thriller and non-fiction author himself, Stephenson writes about keyword optimization, email marketing, and reader-focused promotion. 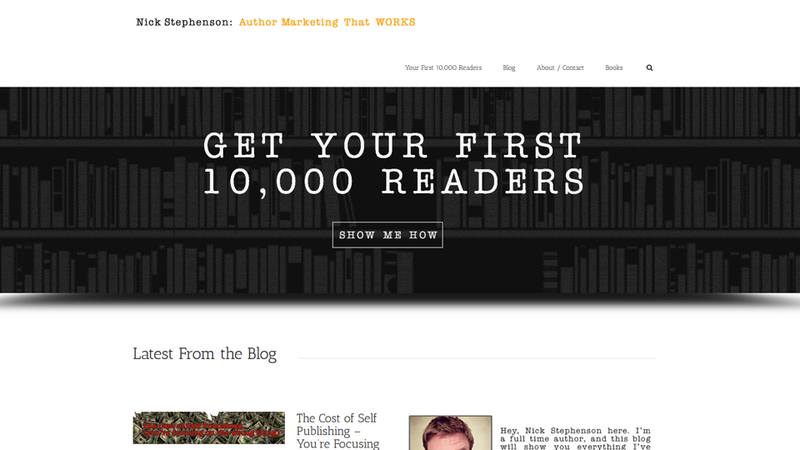 On the site, you can sign up for Stephenson’s free Your First 10K Readers video course, which outlines his main points in a neat little package. 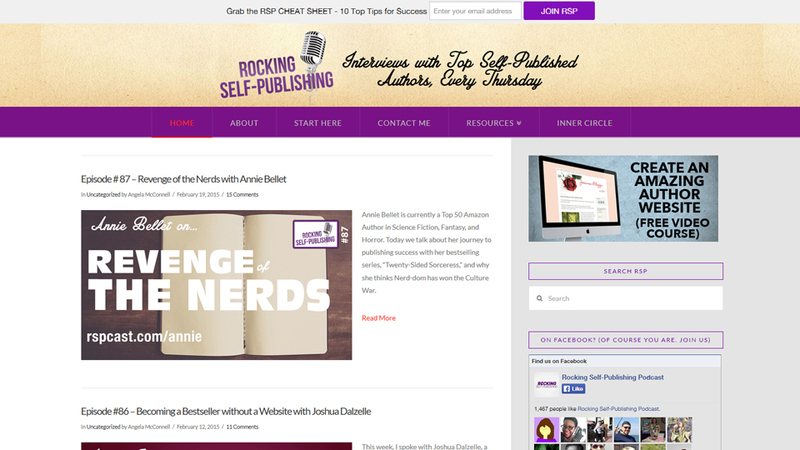 The Rocking Self Publishing Podcast is a tightly-focused interview show hosted by Simon Whistler. In the last year and a half, Whistler has talked with many of the biggest names in the industry, and his no-nonsense style has led to constant weekly wisdom. Check out Whistler’s recently-added features, including guest posts and author action steps on each episode. 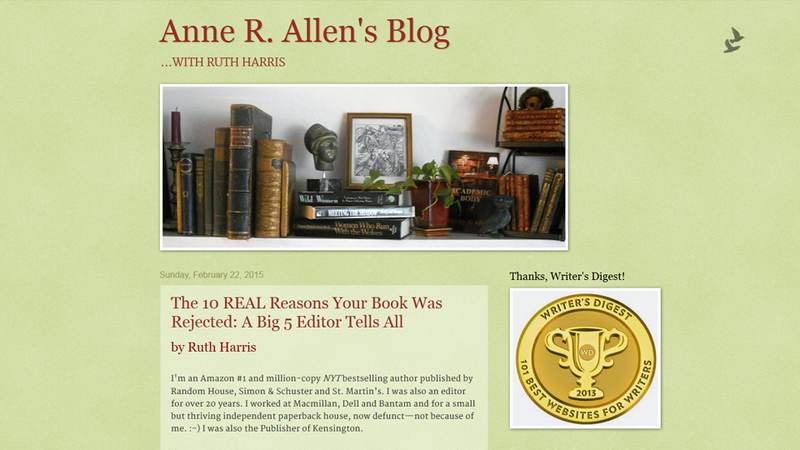 Anne R. Allen’s blog is proof that you don’t need daily content to provide incredible value. 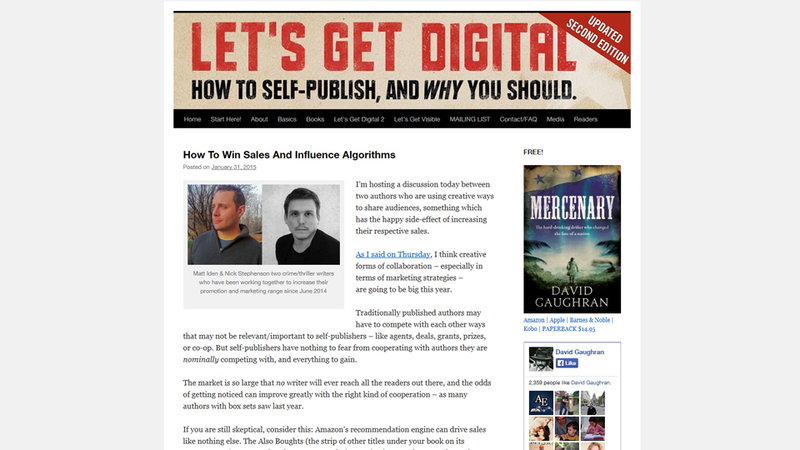 Allen’s weekly posts tackle publishing from both the traditional and the indie side. There’s a heavy focus on craft and author mindset, two areas that some indies fail to address consistently. That’s what makes Allen’s blog a must read for authors who want to continually improve. Speaking of craft, K.M. Weiland’s Helping Writers Become Authors is the motherload. Weiland goes deep on everything that makes up into a novel, from characterization to setting and everything else between the pages. There are many series of posts worth looking at, but the recent “Most Common Writing Mistakes” series is already up to 38 entries and counting. See how many mistakes you can correct by reading a few posts or listening to the audio version on Weiland’s podcast. 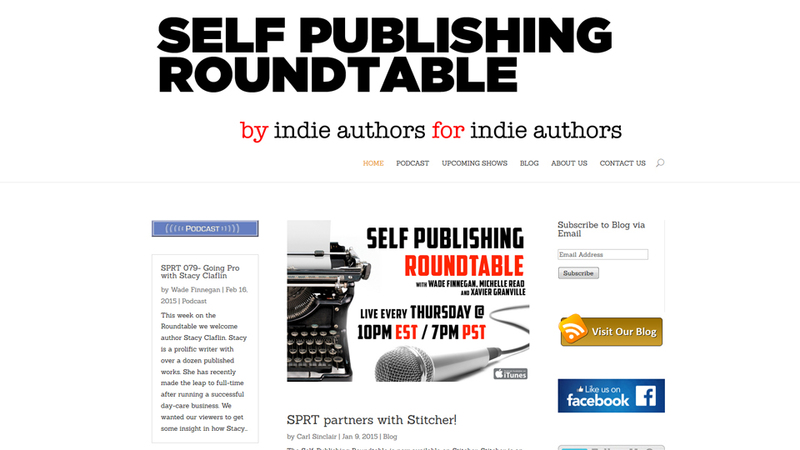 The Self Publishing Roundtable has been one of the top podcasts in the biz for over a year, focusing on a barrage of live questions from hosts and readers alike. SPRT’s back catalogue features a number of successful romance authors who’ve used brilliant marketing and strong writing to make a killing. Every single episode is worth a listen for major nuggets of business wisdom. While the show went on a hiatus in late 2014, it’s back with a trio of new hosts and renewed energy. Founders Alyssa Archer and Leslie Watts touch on inspiration, industry news, and the nitty-gritty of entrepreneurship on this weekly blog. Archer and Watts have over 125 Pictures & Prompts posts to help you beat writer’s block in a pinch and get your fingers gliding along the keyboard once again. 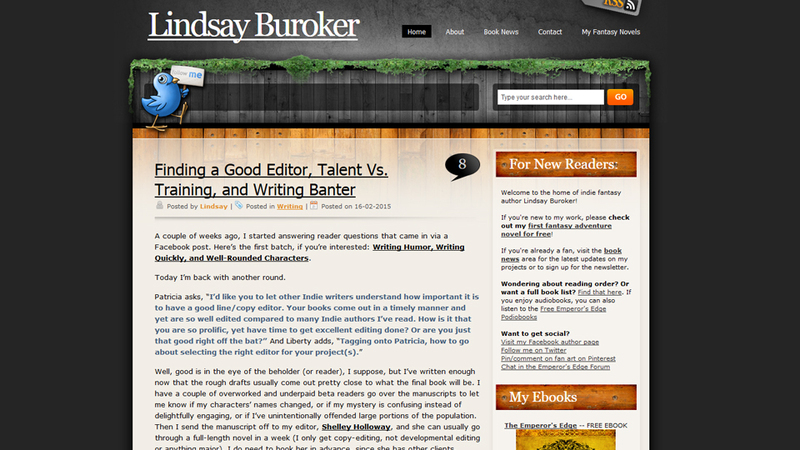 The site also offers editing services and will soon feature a recurring podcast. And there you have it! Which of these sites are new to you? What sites do you think we should add to the list? Let us know in the comments below.